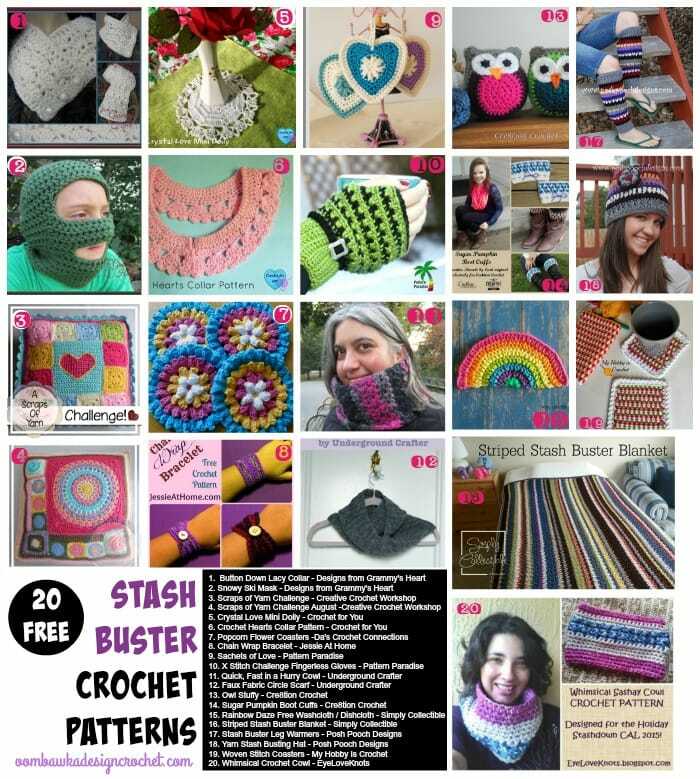 Choose from 20 Free Stash Buster Crochet Patterns and use up some of your saved yarn! You will find coasters, cowls, leg warmers, hats, fingerless gloves, doilies, pillows, blankets and more! Love all the free patterns, I will try a couple as soon I have time!! !